Vytjie Mentor back on witness stand - SABC News - Breaking news, special reports, world, business, sport coverage of all South African current events. Africa's news leader. Mentor is still on the witness stand, at the commission in Parktown in Johannesburg. Former African National Congress (ANC) MP Vytjie Mentor is back on the stand at the Commission of Inquiry into State Capture underway in Parktown, Johannesburg. Mentor, who previously appeared at the commission, testified that she refused a ministerial position offered to her by the Guptas. Evidence leader Mahlape Sello has presented to the Commission of Inquiry into State Capture that records from the Department of Home Affairs show that Atul Gupta was in the country in August 2010. The Commission is now dealing with matters that Mentor included in her previous testimony pertaining to the residence of the Gupta family. 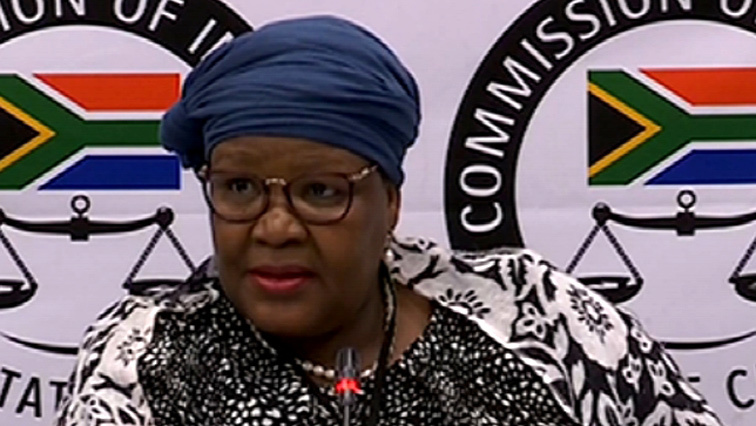 Mentor previously told the Commission how she boarded a flight from Cape Town to Johannesburg, where she was expected to meet with then President Jacob Zuma. She included in her testimony that she was taken to the Gupta Saxonwold home, where she claims she met Zuma and the Gupta brothers. The commission has since conducted their own inspection at the property, accompanied by Mentor. Meanwhile, an in loco investigation by the Commission has found only one home, at number five Saxonwold Drive, the home which belongs to the Gupta family. This revelation appears to contradict testimony of Mentor where she previously testified at the commission that she remembers four to five houses in the Gupta compound. She has told the commission that during the in loco inspection the other homes were not part of the so called Gupta compound. This entry was posted on 11 Feb 2019,05:10PM at 5:10 PM and is filed under Politics, Homepage Featured Story Slider. You can follow any responses to this entry through the RSS 2.0 feed. Both comments and pings are currently closed.